I am here today to tell you about my love for Goodwill! I've always been a fan of Goodwill but today it is in a whole different way. In highschool I went through a phase where I was obsessed shopping at Goodwill, Super Thrift and Salvation Army for clothes. Something about the thrill of the chase, looking for awesome deals really got me. Sad to say, I think I only own about 2-3 of the pieces I bought years ago. Then going into college, Goodwill became the place to score awesome costumes for Halloween and sorority date/crush parties. After graduating college, you think that the dressing up ends...no more "perfect pair" or "anything but clothes" parties but remember who I am married to? 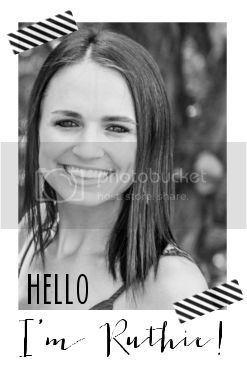 Check out the post where I discuss my husband's mild obsession with dressing up. After being inspired by two of my favorite bloggers, Sherry from YoungHouseLove and Katie from BowerPower, I headed to Goodwill for some serious shopping. Last week Sherry and Katie recorded a video of their Goodwill adventures. In the video you will see how the girls can take the most random object and instantly think of a way to spruce it up and put it into their gorgeous home or give it as a gift. So as I browsed the dirt laden aisles of our local Goodwill (which I might add is about 2 minutes from our house), I tried to see the beauty in the interesting objects that were dying to be bought. 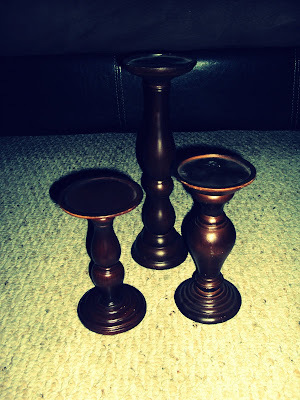 I bought this set of 3 wooden candlesticks for a whopping $2.99. My plan is to spray paint these babies a fun color and find a vintage plate to attach to the top for some DIY cake stands. 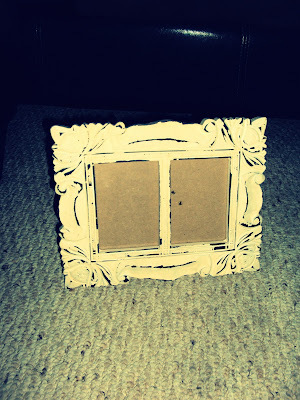 I have seen the most adorable homemade cakestands on different blogs/crafting sites. Like these. Hey if it doesn't work out, pop some cute candles on top and you have a beautiful tiered arrangement for a shelf or built in. 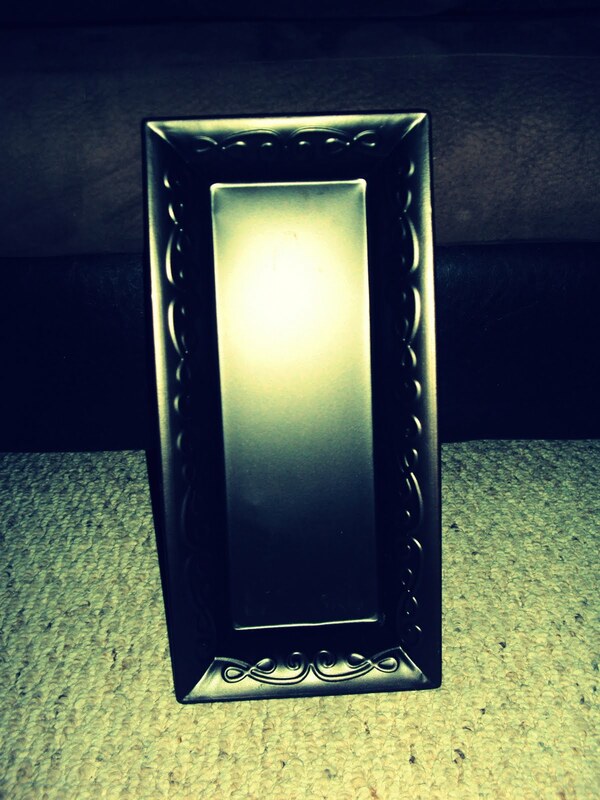 This is a brushed bronze tin tray. I could not find a single scratch or blemish and the Better Homes and Garden tag was still attached. Not sure what I want to do with this but for $.99, who could pass it up? Okay I don't really know what this thing is but I fell in love with it. 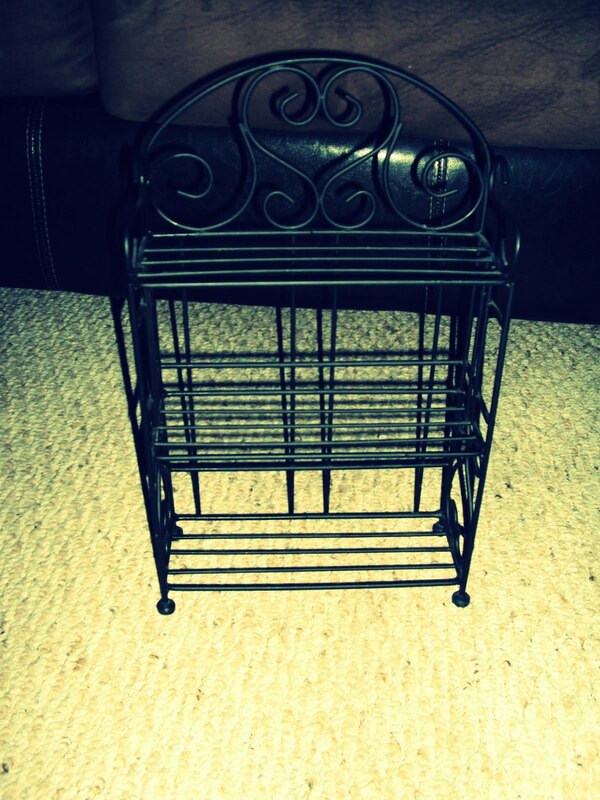 This piece set me back $1.99 and Jon said it looked like a cupcake stand. So whatever this wrought iron contraption is meant to be, I am sure we will find something to do with it! 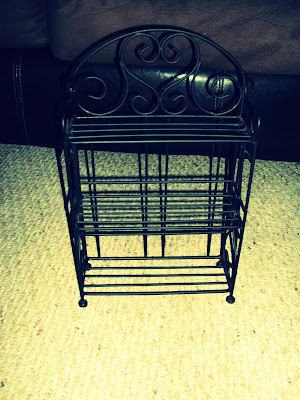 They should just rename Goodwill 'The $.99 cent store' because this wrought iron mini shelf only set me back 99 pennies. My plan is to put this in our large bathroom closet to store our vitamins. Yes major nerd alert but if they aren't sitting out plain to see, we forget! And the closet we have is big and awesome but kind of un-functional. This could also be a cute way to store spices in your pantry. If you watched our house tour #2 video on Monday, you would know I love lanterns. We have 3 antique lanterns hanging in our front porch (and 4 small ones in our bedroom). I am going to pack this Christmas lantern away for the next few months but for $.99, how could I pass it up. 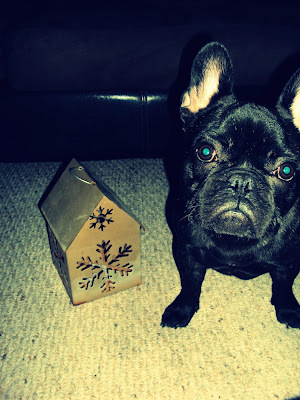 Ernie was so interested in everything so he became my model. He is such a ham, every time I take out the camera he sits and stares. I think this vase thing is my favorite purchase of all. It also seems kind of Christmas-y but would also look stellar in our bedroom. Price? $.99! 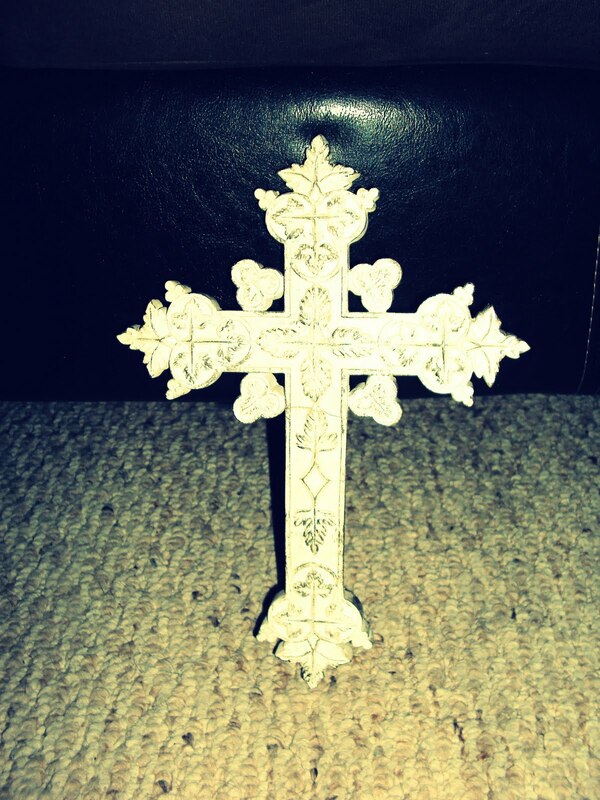 Again, if you watched the house tour, you know I collect crosses. I am always on the hunt for unique crosses to add to the wall and this weathered white one was $1.99! 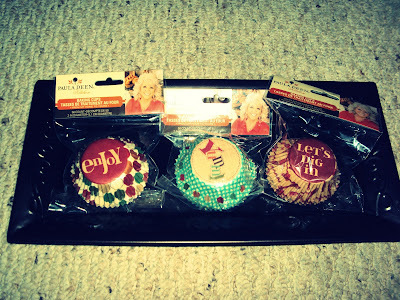 This last picture is of some cutie cupcake liners that I did NOT buy at Goodwill but had to share my steal of a deal. I normally prefer Hobby Lobby over Michael's but stumbled into Michael's yesterday to grab something and found these Paula Deen cupcake liners 60% off setting me back $.60! So next time you drop off a dump truck full of your unwanted crap, browse the aisles and I promise you will score something awesome. I LOVE goodwill bargains. All of my furniture is from Goodwill that I sanded, repainted, and changed the knobs on. I love it! 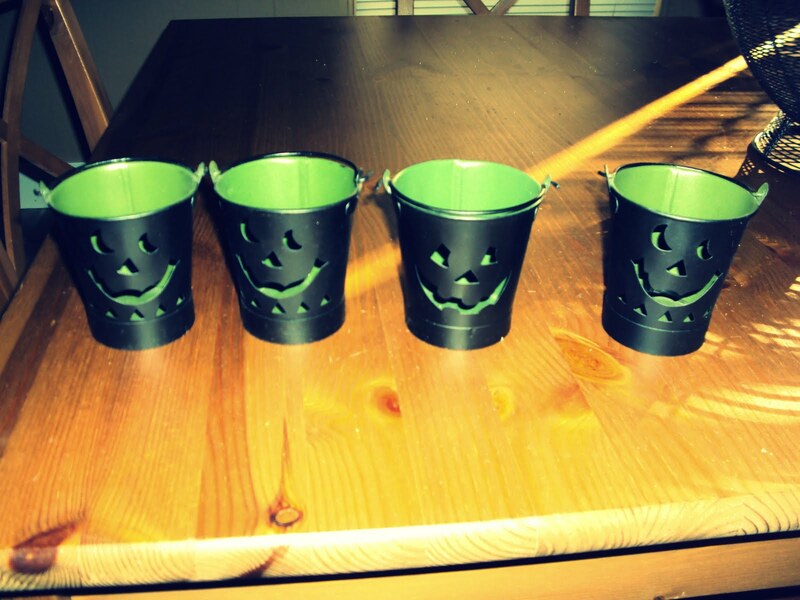 Just find sturdy peices for cheap and slap on a coat of paint and they look awesome! I LOVE everything that you found! 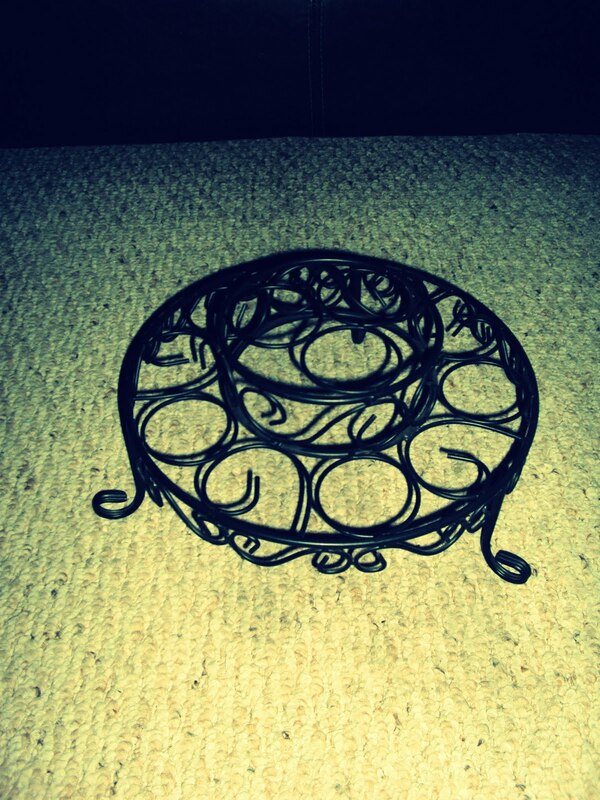 And the idea of homemade cake stands!! 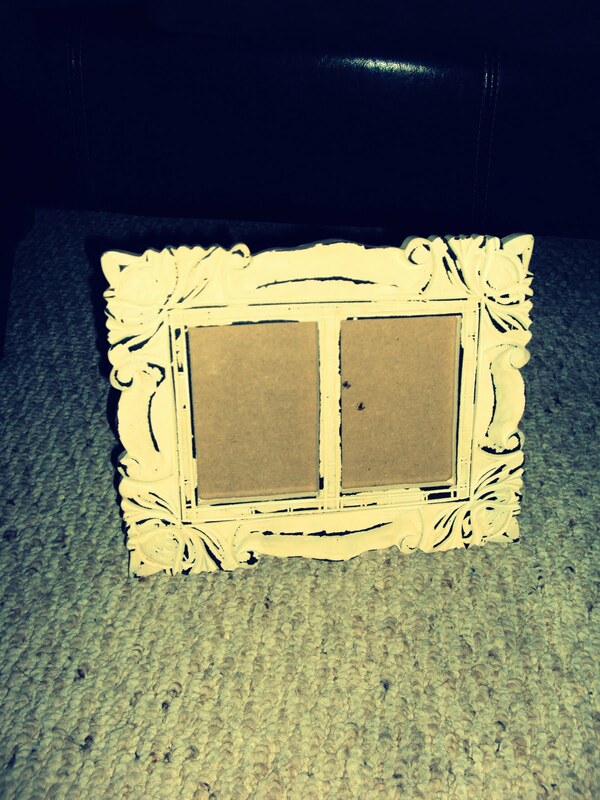 I have been wondering if Goodwill has cute things without having to clean-paint-repeat. And you just found many things! And... been meaning to ask if you wanted to either share your love story or a cute date idea for my new Texas Dating blog :) I am a nerd. 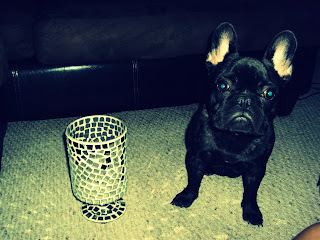 Great finds!!! I think I may go to our Goodwill at lunch! I love goodwill too, but whatever one you're hitting up must be the one to go to! I was going to tell you to make a serving plate/cake stand out of the candle sticks hah! Post pics once you are done jazzing everything up!